Owner does live here; he sometime rents it out to family members. Overgrown yard; abandoned car near residence. A big EYESORE to the Magnolia Heights neighborhood! Needs a lot of clean up. Needs to be demolished & sold as a lot to someone. Thank you! Not to mention the shopping carts these people bring from Winn Dixie and leave in the alley next to house. Winn Dixie managers have been told about their shopping carts and they have done nothing either. Maybe the city can light a fire under these lazy store managers and tell them to come and get them. Issue 4927826 has been marked as a duplicate of this issue. Issue 4938704 has been marked as a duplicate of this issue. Large potholes in front of address as well as intersection of 12th St. and 37th Ave N. Please fill potholes. Thank you. One very large pothole and a smaller pothole diagnol of the big one. Issue 5021001 has been marked as a duplicate of this issue. 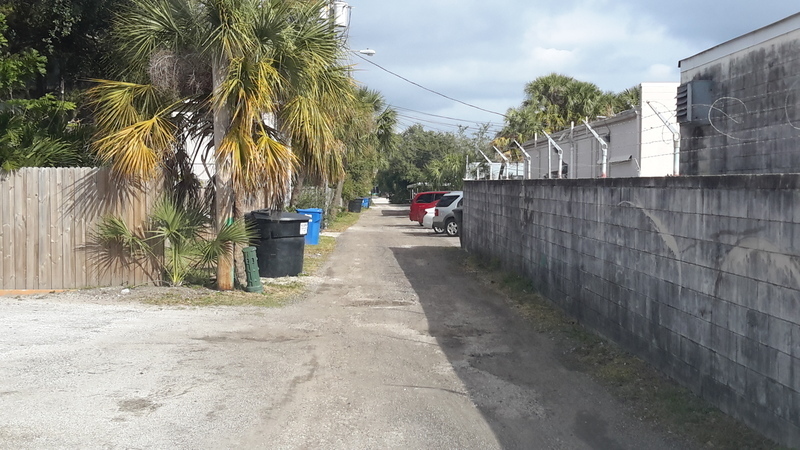 Request for alley to be repaired/paved. Rain and large trucks causing damage to worsen. updated photo behind 3326 11 St. N.
Sidewalk on the West side of this house is completely covered in wet, slippery leaves. Every single year the City has to tell the owner of this house to clean up this sidewalk. 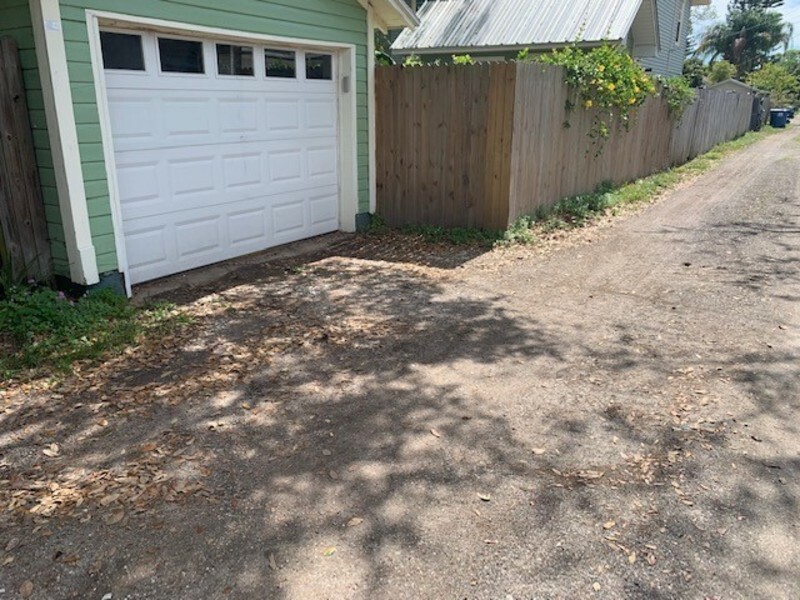 Something needs to be done before someone slips, falls and sues both the owner of this property and the City of St. Petersburg. They finally cleaned up the sidewalk.